Not all fats are the same. There are “good” fats and “bad” fats. Most of what causes problems is hydrogenation, genetically modified crops, synthetic pesticides and fertilizers, and other processing and manufacturing practices. Trans-fat is just another name for transformed fat. It is a by-product of hydrogenation. It is not a natural fat and has been proven to cause serious health problems including heart disease, diabetes, obesity, and immune dysfunction. The so-called “no fat” and “low fat” trend has been called into question. We NEED fat to do our most basic functions and for long term health. So how do you know the difference? Let’s start by taking a look at each kind. Mono-unsaturated Fats are liquid at room temperature (usually), and are comprised of one double-bonded carbon. 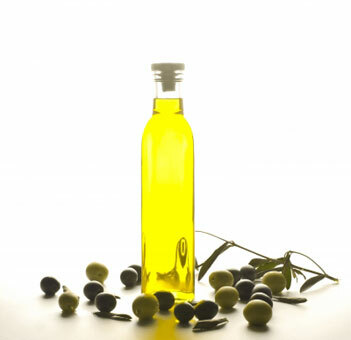 Corn Oil, Flaxseed Oil, Olive Oil, Peanut Oil, and Sesame Seed Oil are some of the most common Mono-unsaturated fats. These are the “good” or “healthy” fats. Poly-unsaturated Fats are liquid at room temperature, and are comprised of multiple double-bonded carbons. These are prone to rancidity so freshness is important. These are the Omegas found in fish, nuts, and algae. They are where our Essential Fatty Acids come from. These are often the fats that get a bad rap because this is where our cholesterol comes from. They are usually solid at room temperature. But not all saturated fats are the same and not all cholesterol is bad. Coconut Oil is highly nutritious and has been shown to reduce “bad” cholesterol and raise “good” cholesterol (see the Supplements and Substitutes pages). Saturated Fats play a crucial role in calcium absorption and immune function. Essential Fatty Acids, commonly known as Omega-3 and Omega-6 are poly-unsaturated fatty acids. They are required for critical biological processes, and cannot be synthesized. They must come from food. There are two main essential fatty acids: Alpha-linolenic acid (ALA) and linoleic acid (LA). There are also two non-essential fatty acids that can be synthesized with the presence of certain essential fatty acids. If you are deficient in the essential fatty acids, you will most likely be deficient in the non-essential ones as well. For deficiency symptoms, please see Essential Nutrients Symptoms Checklist. Essential= Cannot be synthesized by humans. Must come from food. Non-Essential= Can be synthesized in the presence of specific Essential Fatty Acids. Alpha-linoleic acid (ALA) is an Essential Omega-3 fatty acid. If this is present, docosahexaenoic acid (DHA) and eicosapentaenoic acid (EPA) can be synthesized, a Non-essential long-chain Omega-3 fatty acid. This is often not sufficient and supplementation through food is required. This is what helps balance our “good” cholesterol. Linolenic acid (LA) is an Essential Omega-6 fatty acid. If this is present, arachidonicacid (AA) can be synthesized, a Non-essential long-chain Omega-6 fatty acid. Too much Omega-6 raises triglycerides, or “bad’ cholesterol. Oleic Acid (OA) is a Non-Essential Omega-9 fatty acid. Needs EFA’s to be synthesized. Omega-9 fatty acids are abundantly available through our diets. You hear people talking about “good fats” and “bad fats” and “lean meats.” What does it all mean and why does my body need it? Essential Fatty Acids play a crucial role in brain function, growth, and development. Omega-3 in particular has been shown to reduce inflammation and prevent chronic diseases such as heart disease, high blood pressure, diabetes, osteoporosis, arthritis, auto-immune disorders, and some cancer. Essential Fatty Acids are vital parts of our neurological processes. Without these, we don’t function. If these are imbalanced, as our modern diet tends to be, it can cause a host of diseases and nutrient deficiencies. The ratio of Omega-3 to Omega-6 fats that humans need is 1:1. Our current American diet contains close to 6 times the amount of Omega 6 compared to Omega 3 Fatty Acids. Most of this imbalance comes from consuming grains and corn. Consequently, when we feed animals grain based diets, their Omega-3 and Omega-6 ratios are altered. This further enhances our imbalance. This is bad because Omega-3 keeps Omega-6 under control. If allowed to outnumber Omega-3, we see an increase in inflammatory responses and chronic and auto-immune diseases. I have mentioned elsewhere the importance of reducing inflammation. Our body has enough work trying to balance out the toxins in our air, our water, and our immediate surroundings. Limiting the amount of inflammatory responses due to the food we choose to eat can greatly decrease overall inflammation, auto-immune responses, and dis-ease. Essential Fats are just that…Essential!